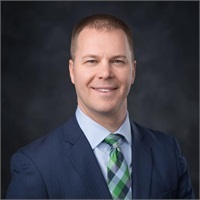 Brian joined the financial services industry in 1999 after graduating from Cornerstone University with a Bachelor of Arts in Business Marketing. He grew up in Grand Rapids and attended Forest Hills Central High School. Brian has earned his Chartered Financial Consultant and Accredited Estate Planner designations. He is a member of the National Association of Insurance and Financial Advisors, the Economic Club of Grand Rapids, the West Michigan Estate Planning Council, and the National Association of Estate Planners & Councils. He is also the chair for the Forest Hills Public Schools Foundation Golf Outing. Brian works with his personal and business clients in thier overall comprehensive investment planning with the goals of creating and growing assets, protecting and preserving assets and planning for the distribution of those assets during life and death. Brian resides in Ada with his wife Chrissy and their three children.